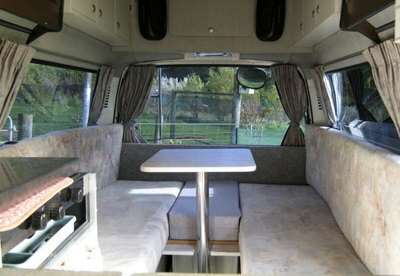 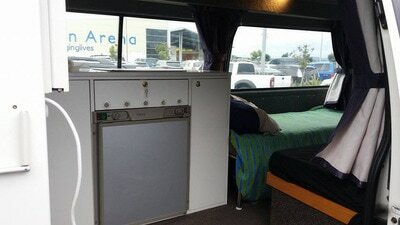 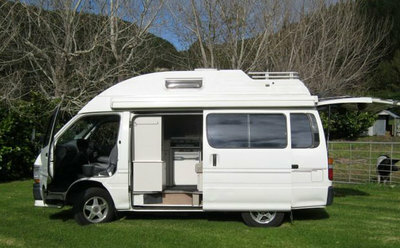 This Hi-Top camper has 2 x single beds, a pull out awning on the side and a microwave. 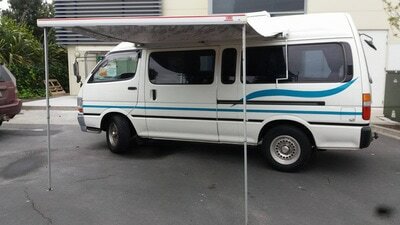 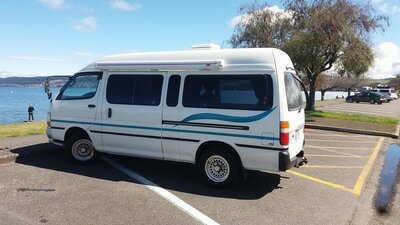 It is a long wheel base van so has extra room. It also has a tow bar. A cheap camping option. 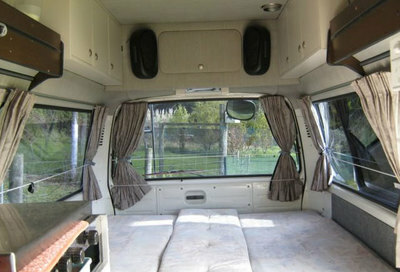 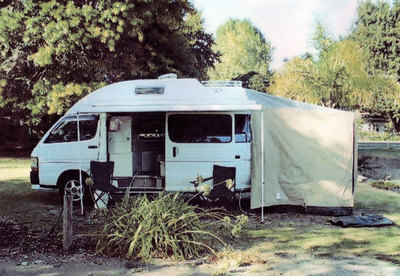 This Hi-Top camper has a self contained certificate which means you can freedom camp. 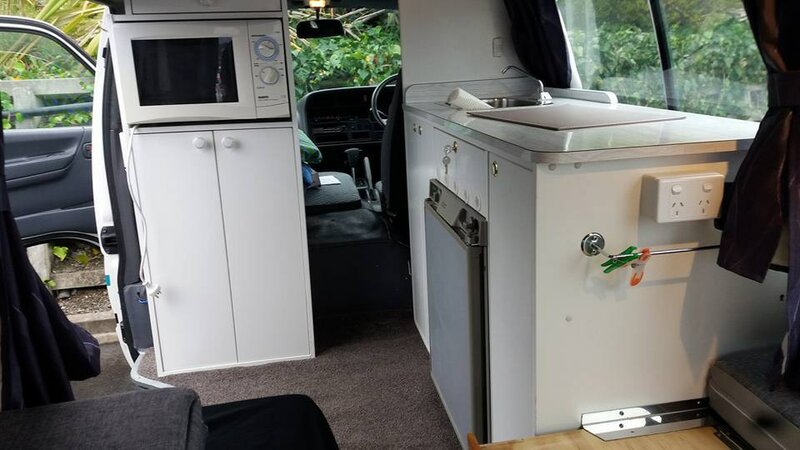 It comes with a portable toilet which stores away in the cupboard which can be used in the tent attached to the back of the van. 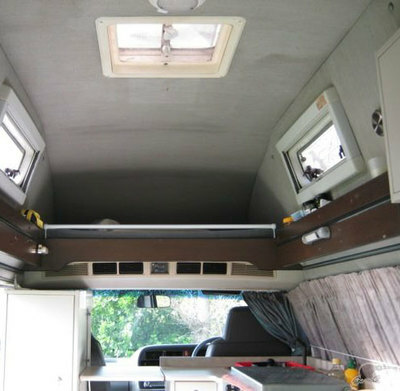 It also has an outdoor solar shower. 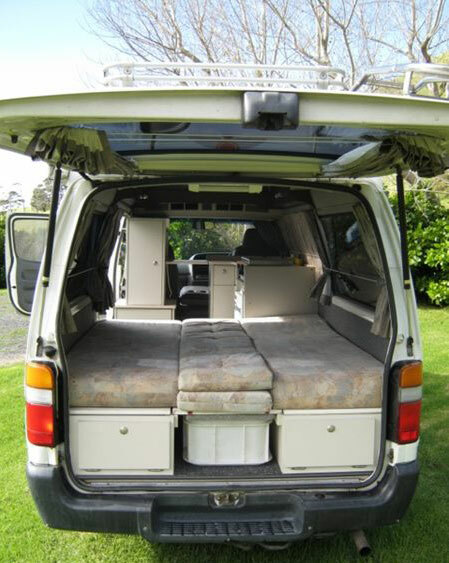 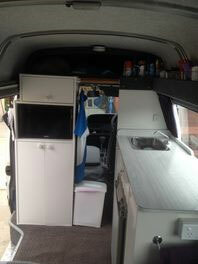 This van has a pull out awning on the side, and a tent which clips to the back of the van where you can use the shower & toilet OR set up a bed for an extra person. 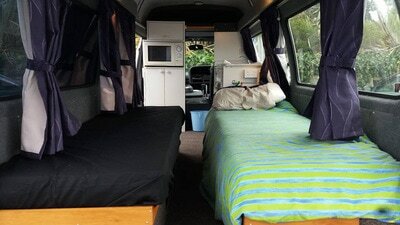 Extra bedding and inflatable mattress is available for hire.